During a special screening of Gremlins in London last night, Galligan gave the audience an update on the new Gremlins movie. 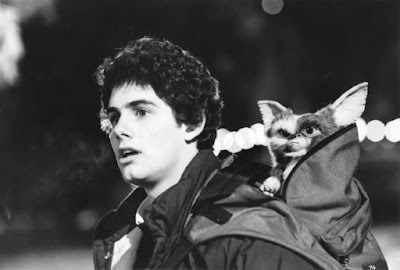 Galligan played Billy Peltzer in the classic 1984 comedy horror movie and its 1990 sequel. "It's not going to be a reboot. It will not be a remake in any way, shape, or form. Chris Columbus has come out and said that the first film is very near and dear to his heart and as long as he is alive it will never be remade," Galligan said. "So the only thing they will be, and apparently are going to be doing, is something along the lines of like Jurassic World, where it will be 30 years later." Continuing, Galligan admitted that he does not know if he will appear in the new movie, but added: "I think there is probably a decent chance since I'm one of the few people left standing from the first movie." Phoebe Cates retired from acting in 1994 but a third gremlins film could entice her out of retirement. As for Gizmo himself, Howie Mandel - who provided the voice of Gizmo - would most likely return to voice the character for another entry into the franchise. Carl Ellsworth (Red Eye, Disturbia) has been hired to write a third Gremlins film. Both Chris Columbus, who wrote the original 1984 film, and Steven Spielberg, who served as an executive producer, are said to be involved.